The TCC Ladies squad showed up with all guns blazing, but nonetheless were shot down in a blaze of glory in the final round of this years National Team Series Championship. Suffering from a last minute withdrawal, the team stood proud and firm with their backs to the sun against the formidable opposition, knowing that overall victory in the series had realistically just dropped over the horizon. Down, but most definitely not out, they were determined to show that they would not give up without a fight, even though the Surrey League Squad were holding all the aces. 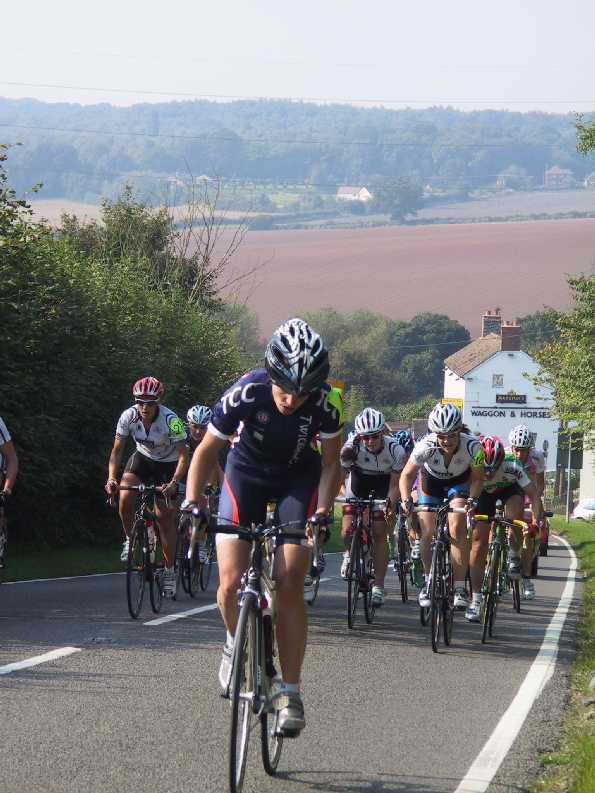 From the off, the picturesque triangular route soon caused problems for a number of riders as it rolled through the Leicestershire countryside on it's 6 lap duration. With a Prime climb half way round and a further sharp incline precursing the long drag up to the finish line, this was a course that would suit only the strongest of competitors. 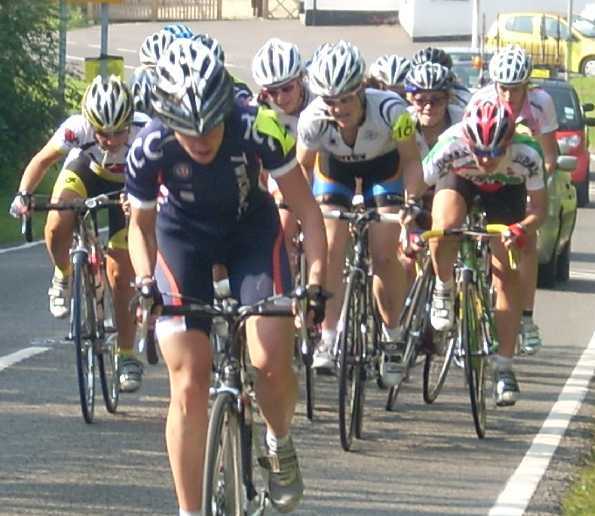 Amongst others, Lisa West and Jo Foster were both unable to find their rhythms quickly enough on this circuit, yet still battled away, never capitulating, for the benefit of the team standings. 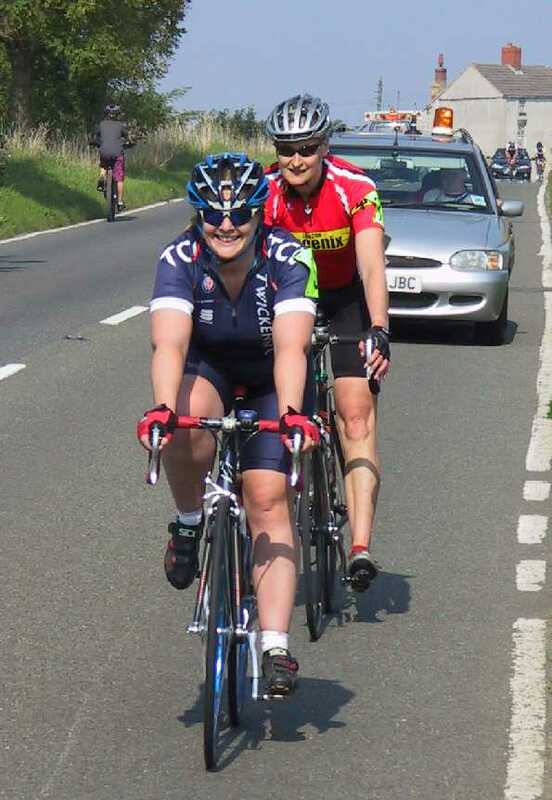 Further up the road, the main pack contained all of the major teams including The Surrey League, Luciano-Kuota, Fat Birds, & QCP, with our representation amongst this being ODP riders Corrine Hall & Kate Calvert alongside the rapidly rising talent of Dorchie Cockerell. 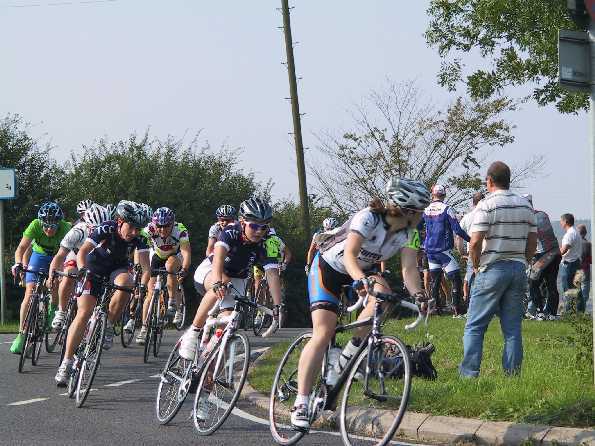 The bunch remained intact until the penultimate lap, where Dorchie injected a good degree of urgency, & she was joined in the breakaway by Kate Calvert, Sarah Cramoysan - Team QCP, and the ever watchful Charlotte Blackman of the Surrey League. However, with the Team Series Leaders representation assured, this attack was soon nullified to Dorchie's consternation. The last lap perambulated, much as the previous 5 had, and in the end, it came down to the final gallop to the line. 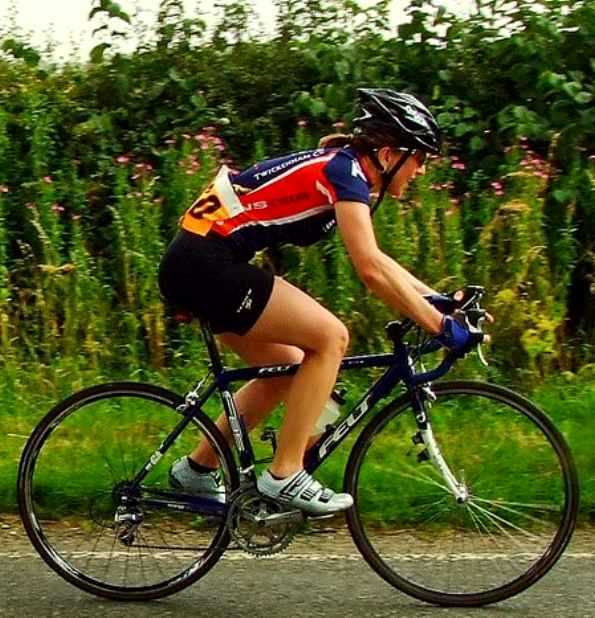 The talented Jessica Booth of the West Midlands squad sprinted away from the chasers to claim victory with a few bike-lengths to spare. 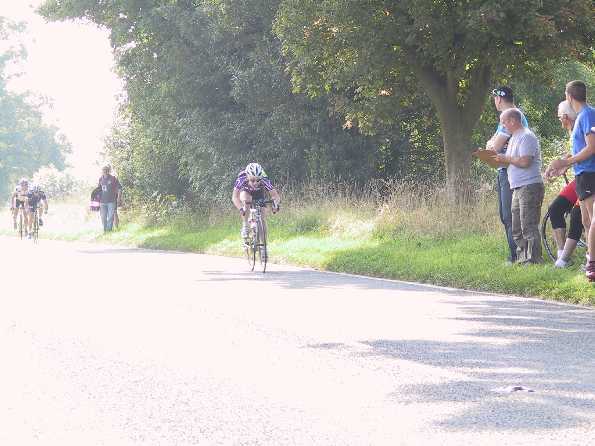 Second position was grasped by Jo Munden (Surrey League), from Corrine Hall in 3rd followed closely by Dorchie Cockerell in 4th place. 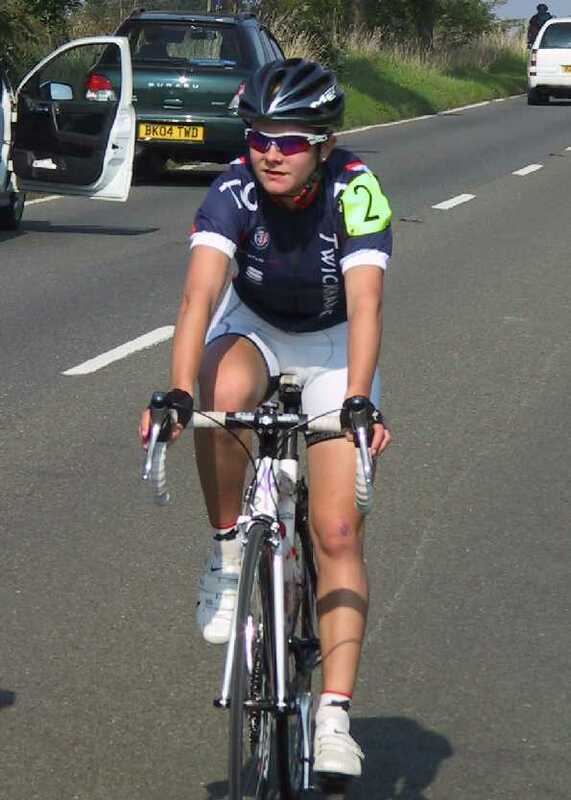 Kate Calvert was also in the mix, eventually being credited with 7th position. 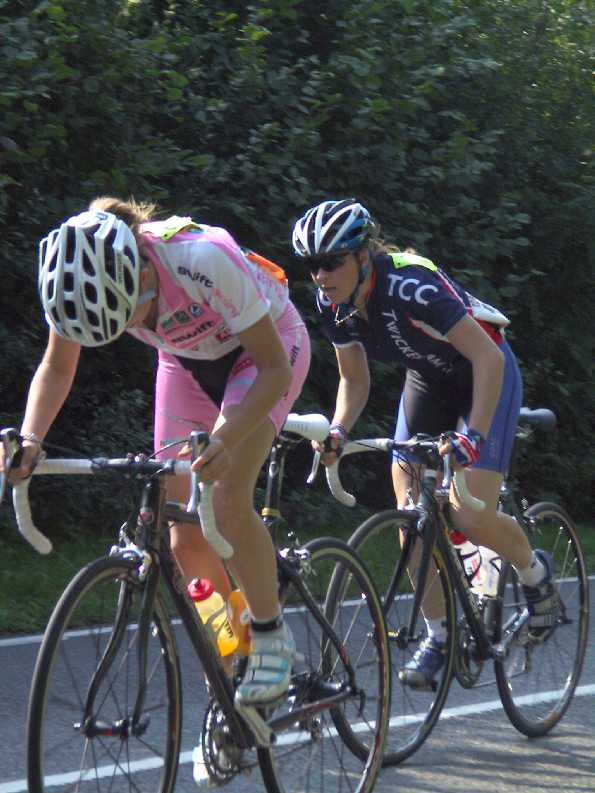 The close grouping of 3 TCC riders in the top 7 gave rise to a short lived glimmer of hope within the squad, but with the Surrey League's Jo Munden's 2nd place, coupled with further placings of 9th, 11th, & 12th, and Charlotte Blackman taking both mid-race Primes, this was to no avail. 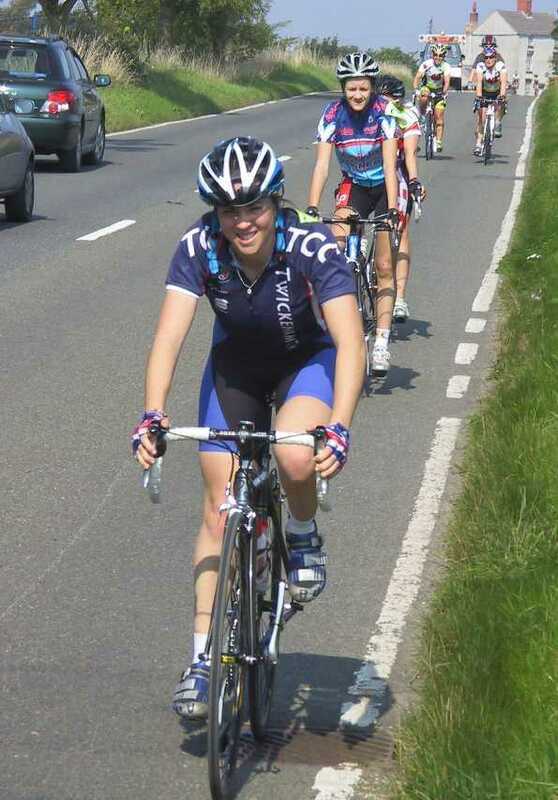 Still a quality performance from the TCC girls though! So, 2nd place overall in this years Team Series. This is a laudable achievement in our 3rd year of taking part, having initially finished 4th 2 years ago, then 3rd last year, and now 2nd, who knows what might happen Next Year? (Betfair). This is no mean feat - almost all of the other teams are sponsored or composite teams! 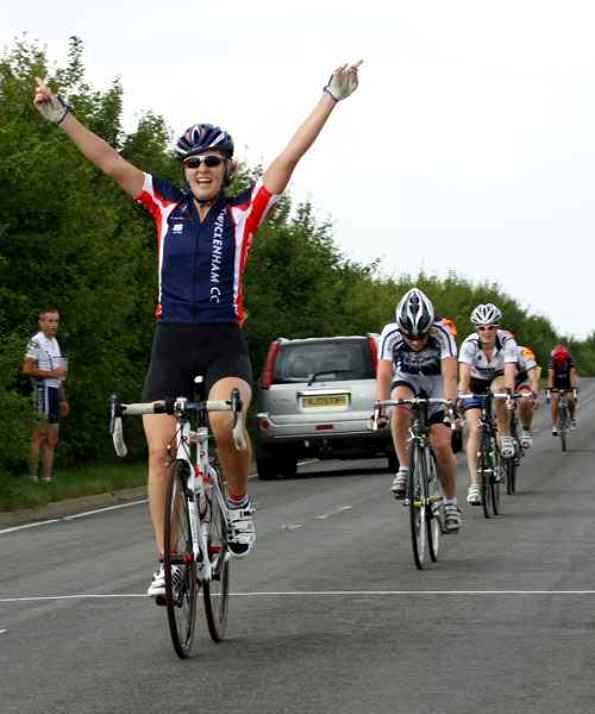 The consistent performances of our squad have come about through the determination of all of those riders who have taken part throughout the year, including Denise Quinlan, Chrissy Harris, Dani King, Emma Williams, Ella Hopkins, Jayne Payne, Ann Marshall, Claire Leonard, Susie Scorer, & Natalie Creswick in addition to today's team. 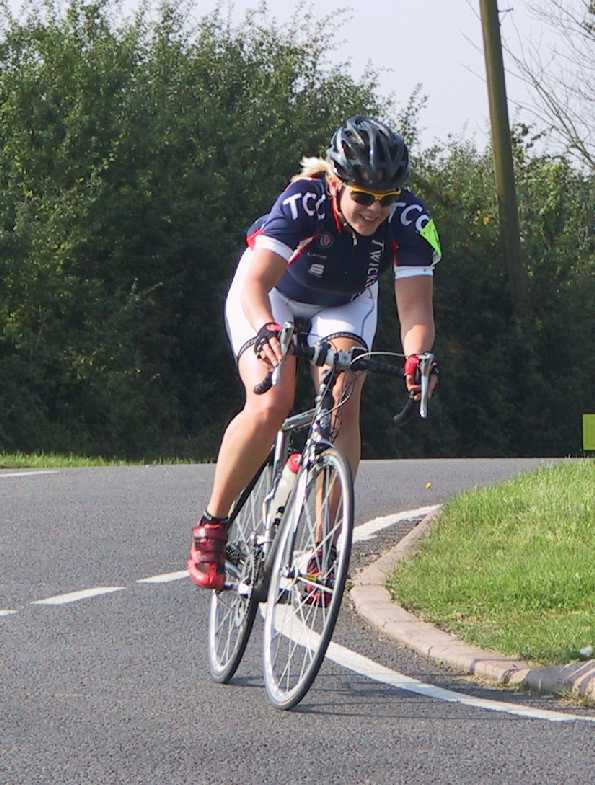 The hard work of Lisa West in organising this year's assault mustn't be underestimated. 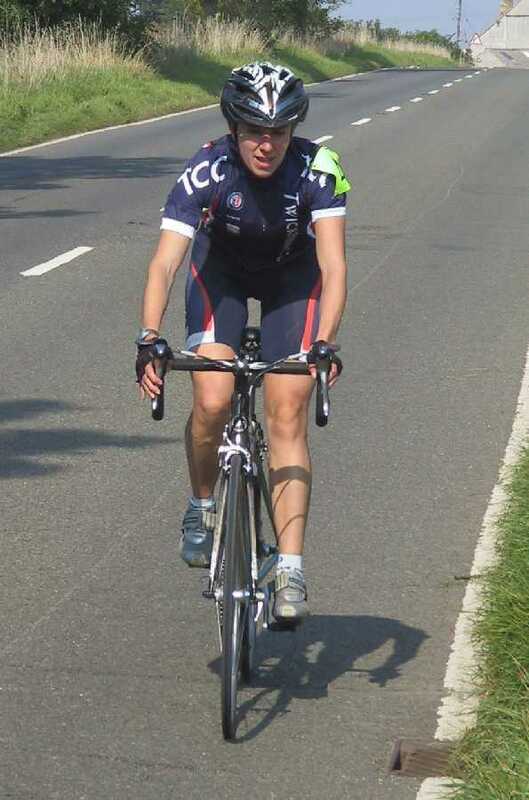 In addition to riding many of the events herself (and thereby securing vital team points), she has put an enormous amount of effort in to co-ordinating the squad and ensuring that we fielded the strongest available squad in every round of the competition, no matter how far away the races were. 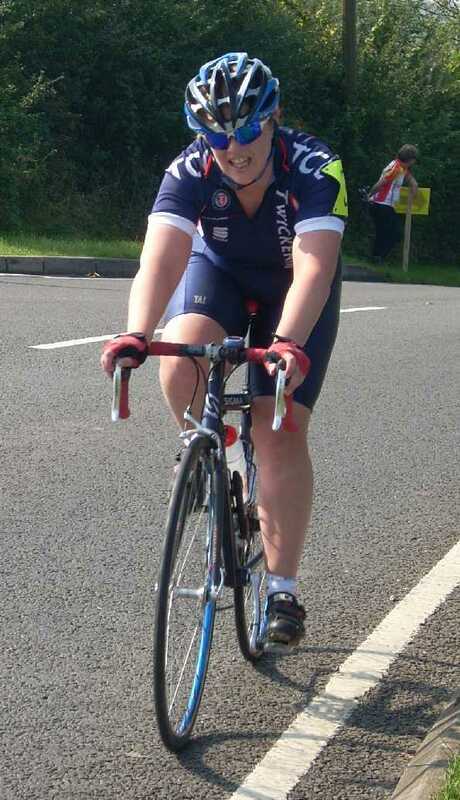 Well Done Lisa & all who took part this year!